Camden Green Fair has now been relabelled as London Green Fair. 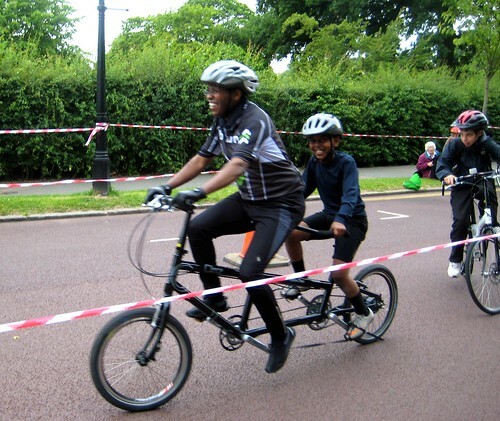 Stefano has been running bike fest since it first came to Regents park in 2005 and he did the same again this year, when it was enlarged by the participation of Adam from Hackney and LCC. 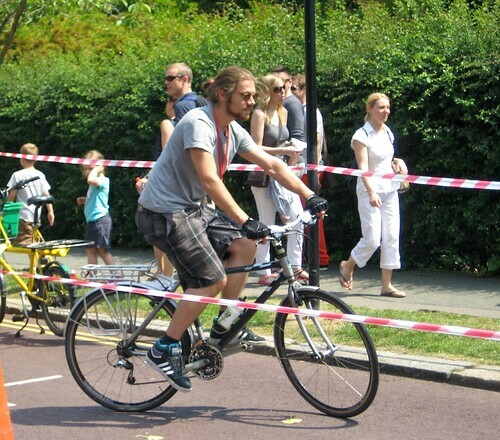 Adam contributed the Bicycle Music Festival for the second year and added new events including cycle maintenance workshops and jousting on bikes. LCC ran the information stall. 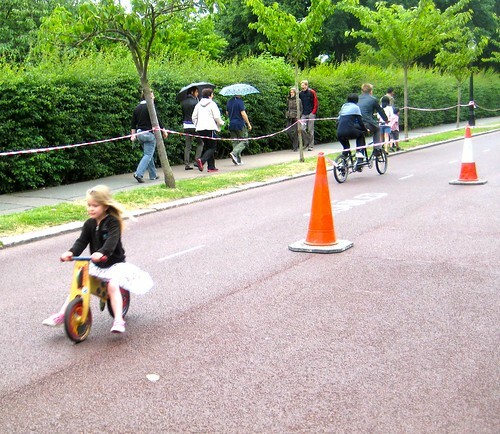 On Saturday, Camden Cyclists organised a slow bike race in which someone managed to spin out 4.04 minutes riding around a very shorty course. 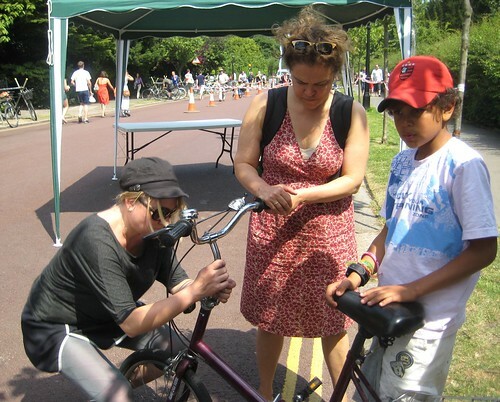 On Sunday, Velorution and Bike Fix brought a fine collection of interesting adults and children’s bikes for people to try out. 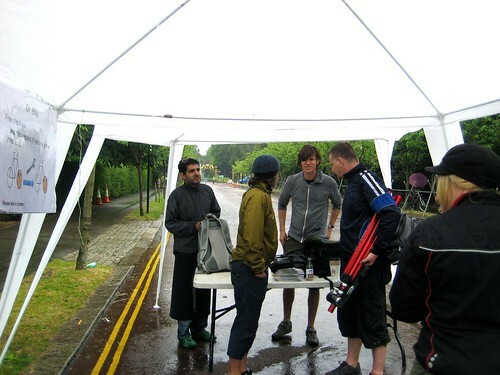 These were very popular even with the dull and eventually wet weather. 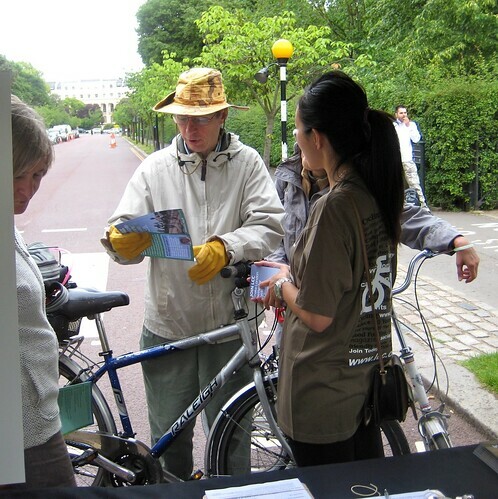 Camden Council’s cycle trainers, led by Richard Riddle acted as Dr Bike to over 100 cycles throughout Saturday and Sunday. These events were all in Chester Road. All of this was great publicity for cycling, thanks to Stefano’s efforts. However, Stefano thinks that next year we really must hold all of Bike Fest in one place inside the park.